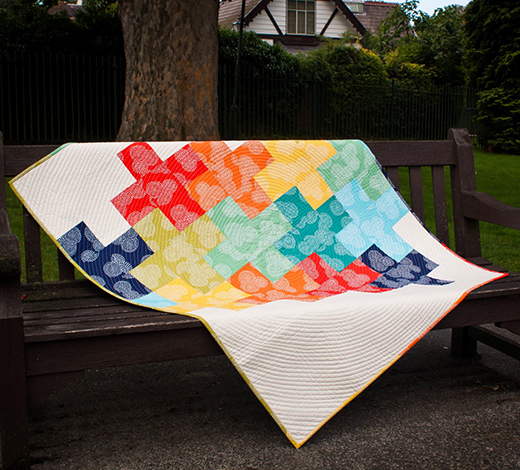 "I designed this cute little plus quilt in 2013 for Annie, who owns The Village Haberdashery in London, and it featured as a tutorial on the shop’s blog The Daily Stitch. It’s a quick and easy baby quilt to make and is easy to size up and down by changing the block size. In the original quilt I used a rainbow of Stitch floral fat quarters. Cotton + Steel fabrics are the main focus for this updated version."